Unobstructed views. Unbeatable in the building or in Chelsea.. 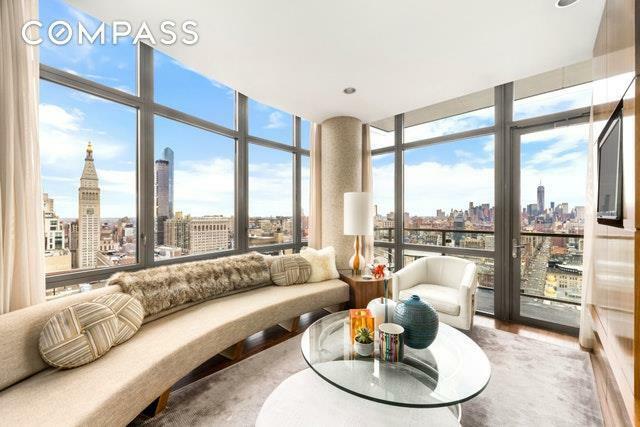 Walk into this meticulous and bright, turn-key, corner 2 bedroom 2 bath residence and youll immediately be greeted with unparalleled views of the Manhattan Skyline. This 1285 square foot home is made for entertaining with its open kitchen seamlessly leading into the banquette and grand living room. With floor to ceiling windows facing south and east, watch the sunset every night with friends on your private terrace. The kitchen is outfitted with top of the line appliances, a wine fridge, double stacked dishwasher, and a window with a breathtaking view of the Empire State Building. 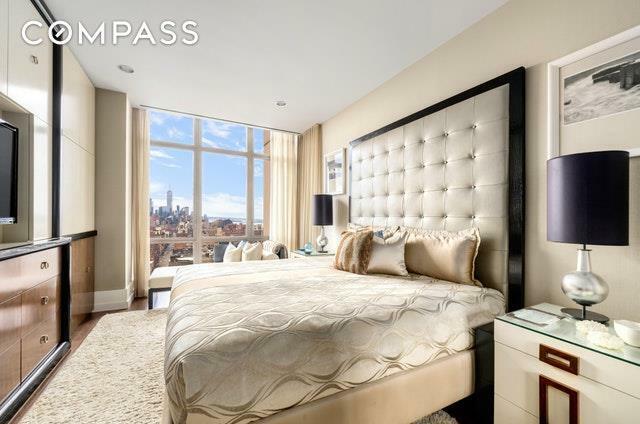 Start your morning with the automated custom shades and built-in ceiling speakers as you wake up to the panoramic southern views of the Freedom Tower. The master suite, equipped with a meticulously designed custom walk in closet, custom hanging closet, and custom designed built ins maximize the storage space. The en-suite 5 fixture master bath with a mirror set tv completes the master wing. The second bedroom is currently used as a library and can easily be restored. 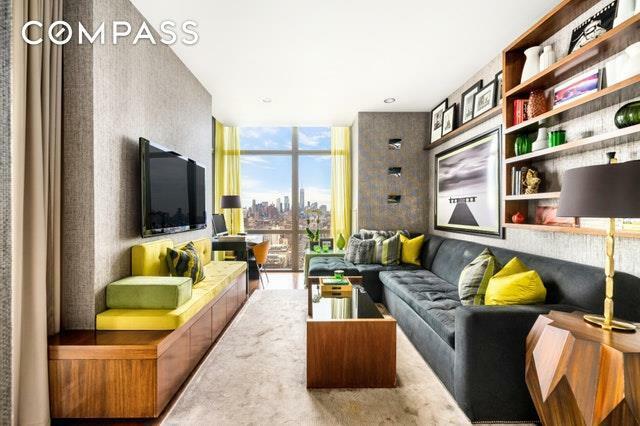 The full-service Chelsea Stratus has a plethora of unrivaled amenities including a 24 Hour doorman, updated fitness center, indoor basketball court, residence lounge with fireplace, billiards room, outdoor garden, and roof deck with a dog run. 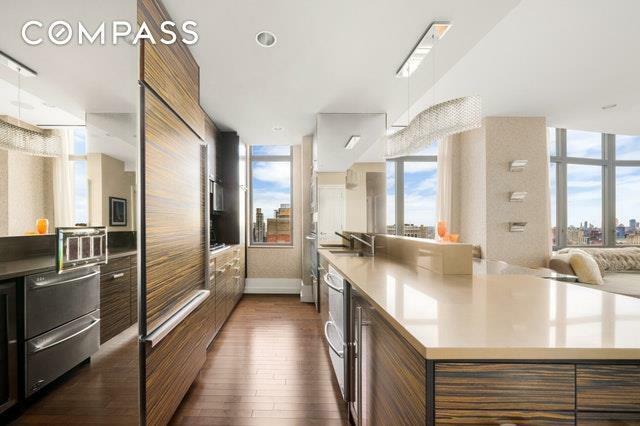 Steps away from transportation, restaurants, and shopping, the highest D line in the building also comes with a private wine locker and basement storage.